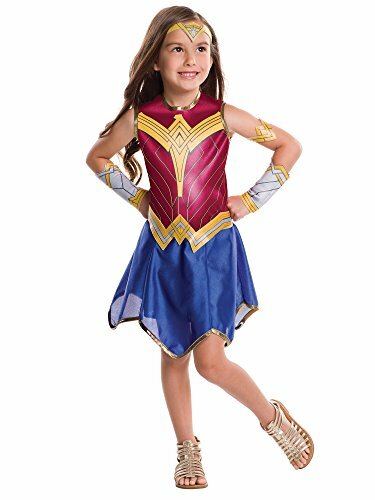 Officially licensed Wonder Woman costume dress with attached shorts and constructed foam bust has adjustable clear shoulder straps and side zipper closure. 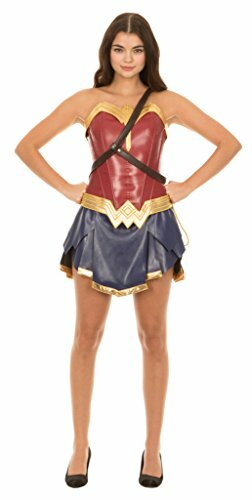 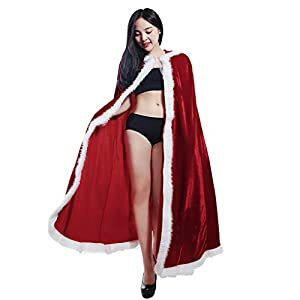 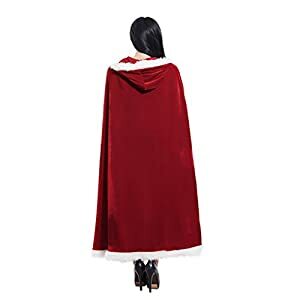 The fabric tiara is on an elastic band, fabric covered foam arm-band and gauntlets are pull-on style, and the belt closes in back with hook & loop fastener. 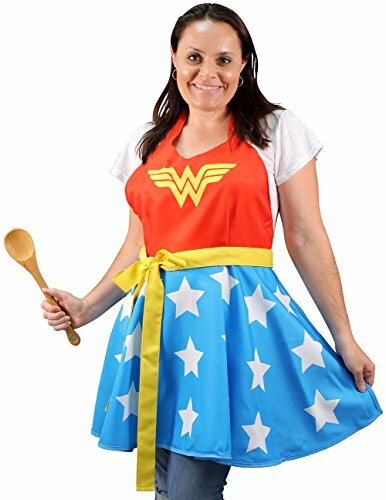 IMPORTANT Costumes are sized differently than clothing, important to review SECRET WISHES size chart before making selection. 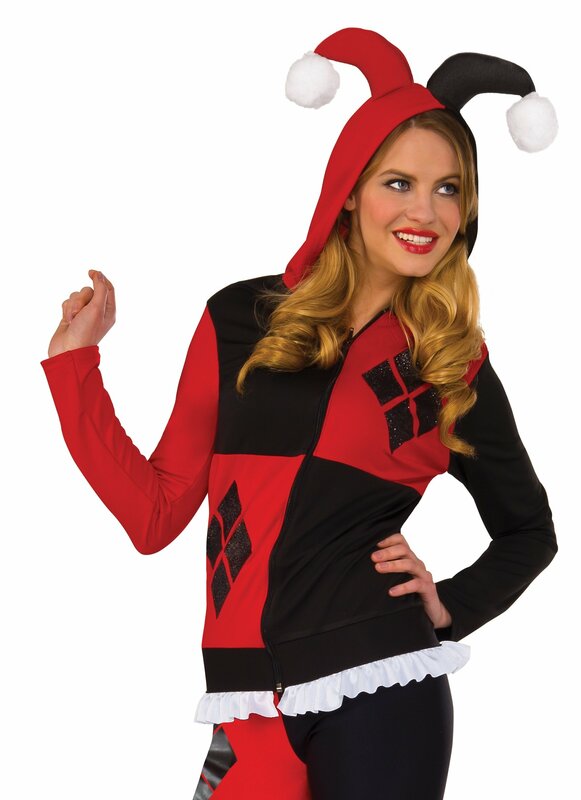 Secret Wishes costumes are designed to be flirty and fun. 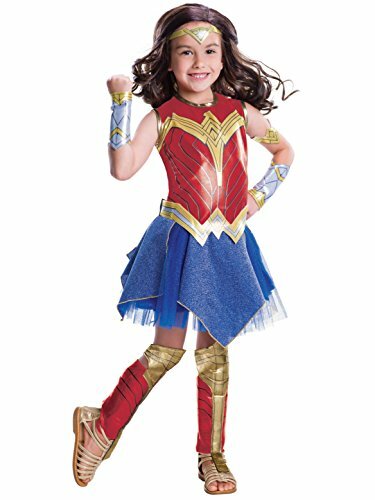 Rubie’s offers a range of Wonder Woman costumes in sizes from Toddler through Child and Teen up to most Adult sizes, as well as styles for your pet. 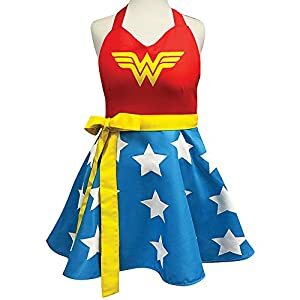 Create your own Wonder Woman group costume with Rubie’s Wonder Woman Movie Ares, Beach Battle, Hippolyta, and Steve Trevor costumes; Justice League friends Aquaman, Batman, The Flash, and Superman; or any of the classic DC styles.